The latest iteration of Primare’s iconic 30 Series: I35 Prisma integrated amplifier is the first to use the new UFPD 2 all-analogue Class-D technology. 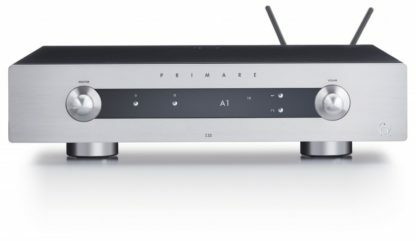 SKU: N/A Categories: A - P, Amplifiers, Brands, Primare AB, Products Tags: 24k Gold, Audiophile, ChromeCast, European Quality, Fashion forward, Hi-Res Audio, High End, Home Cinema, Internet Radio, iPod Connectivity, NextGen Product, Primare, Spotify, Wow! a 150 watts per channel stereo power amplifier. In preceding series’, that kind of functionality came in four separate boxes! Thanks to I35 PRISMA and other products like it, modern high-end audio needn’t clutter your living room. All you need is a perfect pair of speakers and a Primare I35 PRISMA on wi-fi. It couldn’t be more simple. I35 PRISMA is made, apart from impressive audio performance, to be a pleasure to use with innovative features. When I35 detects sound on any input, the amplifier wakes and plays music from that source at a predetermined level, therefore daily operations like television or radio streaming are made very family-friendly. Custom labels (or alias’) can be programmed in the OLED menu to identify the inputs that you use, and unused connections can be skipped. That way, the input dial only scrolls through the names of devices that you actually use (e.g. D5, A3, D7 becomes CD, Turntable and TV); so simple. 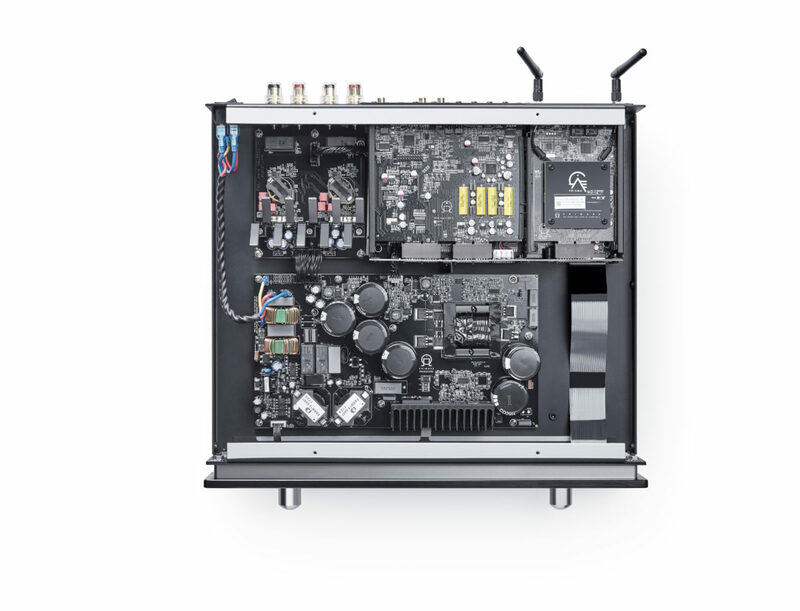 In a high-end home theatre or a studio, I35 PRISMA can be programmed to behave as a stereo power amplifier. RS-232 facilitates integration into whole home system control technologies such as AMX, Crestron, RTI, ProControl and Control 4. PRISMA refers to Primare’s proprietary media streaming technology. 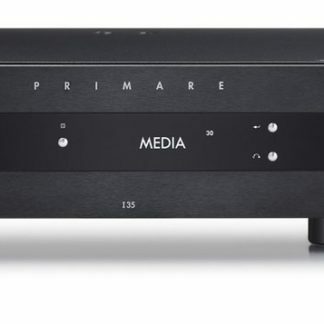 It allows Google Chromecast, Apple AirPlay2 and Spotify Connect streaming from any networked device to your Primare PRISMA integrated amplifier. A proprietary PRISMA iPad app navigates music stored on your networked hard disk drives. Primare’s I35 PRISMA really is a pleasure to use. I35’s preamplifier is a symmetrical design with two balanced inputs. Balanced amplification all but eliminates distortion and interference. The addition of an improved 2 x 4 channel balanced-mode volume control IC optimises channel balance and raises performance during low-volume listening. I35 employs carefully crafted input circuitry and relays for input switching. As a result, I35 eliminates crosstalk and provides better isolation and sound quality than products with conventional CMOS switches. And the I35’s OLED display technology was originally developed for the automobile industry. It is designed for long life in hostile environments and improved versatility. OLED technology provides a bright, high-contrast display without causing interference. Audio performance aside, Primare’s I35 preamplifier is configurable in seventeen (!) parameters: input status, input alias, auto-sense, input gain, volume fix, balance, startup volume, maximum volume, mute volume, digital output frequency, unused input display, front panel lock, auto dim, OLED brightness, auto-standby and auto-sense wakeup. High performance inside and out! I35 PRISMA is the first product to employ Primare’s proprietary UFPD2 amplification. UFPD2 is the secret behind I35 PRISMA’s absolutely linear power across the entire audible bandwidth. 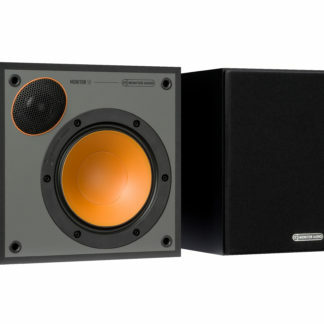 As a result, your speakers connected to I35 PRISMA will sound is naturally fast, clean, agile and uncoloured. UFPD2 technology provides immediate and sustained high power output with very low distortion, instantaneous rise time and absolutely linear amplification across the entire bandwidth. In addition, a new error amplifier in UFPD2 has been developed that does not limit bandwidth and minimises phase distortion across the audio band. A custom made output coil in the 2nd order filter error amplifier results in even more linear amplification – a flatter frequency response from your speakers – a result, UFPD2 delivers absolutely “black” backgrounds from which music emerges with a holographic, three-dimensional, life-like character and richness. Given the speed that the UFPD2 amplifier module is capable of, a switch mode power supply was the only choice. It allows for rapidly varying demand and provides stable voltage to meet peak transient burst requirements. But, unlike conventional SMPDs, Active Power-Factor Correction (APFC) avoids input current harmonics and prevents interference with other devices that are being powered from the same power outlet. A nice byproduct of reduced current ripple is decreased stress within the circuit for prolonged life. Primare products are notably reliable! The I35 PRISMA will reproduce virtually any digital source with accuracy and musicality. 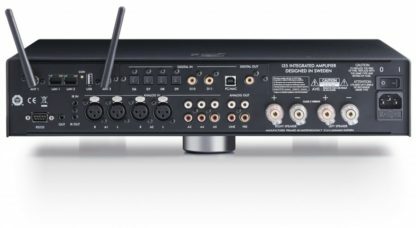 The DM35 digital to analogue converter (DAC) creates an analogue sound that comes as close as possible to the original source. At the heart of this DAC is the brand new flagship of AKM’s Verita series: the ‘AK4497EQ chipset’. 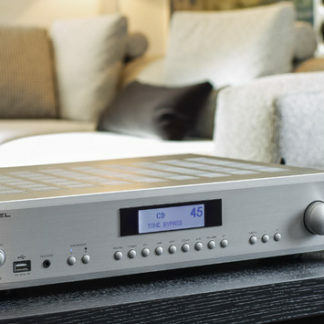 The AK4497EQ, a premium 32-bit stereo DAC, includes VELVET SOUND technology and a newly developed switched capacitor filter. ‘OSR Doubler’ achieves a flat noise floor up to 200kHz and, as a result, I35 PRISMA achieves incredible specifications (-128dB (stereo) signal to noise ratio and -116dB total harmonic distortion and noise) while supporting up to 768kHz PCM and 22.4MHz DSD data for high-resolution music files in its native resolution. Innovative design utilises a symmetrical balanced layout for the left and right channels so signal quality deterioration is eliminated within I35 PRISMA’s full 32-bit processing. I35 PRISMA’s DM35 DAC module has four optical (Toslink) inputs, three RCA (SPDIF) and one USB-A input, and the PRISMA module has one USB-B digital input. The USB-B input allows playback of files up to PCM 768kHz/32bit and DSD256/11.2MHz from Mac or Windows computers and external WMA processors. Thoroughly implemented power supply designs so that all elements of any design operate effortlessly at maximum effectiveness. 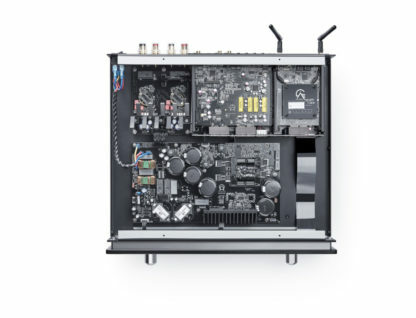 Every product and subcircuit demands unique power supply solutions. A conventional linear supply or an advanced switch mode may work best depending on the application. Carefully crafted individual discrete power supplies are strategically inserted into the circuit exactly where and how it is needed. Two and four-layer double-sided circuit board construction allows for the most direct and efficient layout of components. Not only does this achieve the shortest signal path, but also optimises a layout of circuit and subcircuit components for best performance. Surface mount technology (SMT) components are used whenever possible. SMT components allow direct connection of the circuit device or component to the circuit board with the solder being used solely to mechanically hold the part in place. Dozens of metal wires, at each connection point in a conventional circuit, all add up; so eliminating them with high-spec SMT components and devices significantly shortens the signal path. In addition, conventional through-hole construction limits direct contact of the component to the circuit board and results in the solder providing the electrical connection as well as the mechanical connection for the device. Neither the solder nor the metal leads of most through-hole components is ideal for signal transmission and therefore compromises the potential performance of even the best-designed circuits. Resonance control through heavy-gauge metal chassis has a profound effect on ‘the Primare sound’. Primare metal chassis’ are of complex construction of as few independent elements as possible. Each component braces and strengthens its adjoining components. Voids in the powder-coatings and paints ensure metal-to-metal contact so that the whole chassis is grounded electrically and mechanically. All chassis components are made from selected metal alloys, powder-coated steel or aluminium. 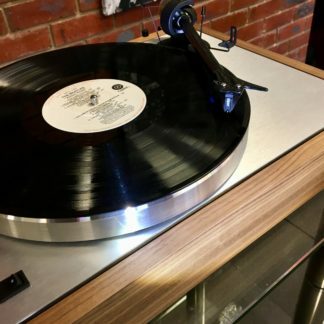 The casework assembly then sits on three solid metal feet with critical damping/isolation pads – three feet ensures even pressure and lower resonance than four. The whole assembly weighs in at approximately ten kilograms! 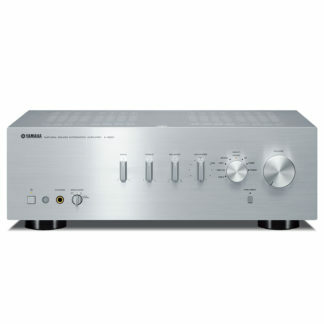 Class D amplifier technology has many inherent advantages. Like the ability to locate the heat sink directly onto the circuit board within the amplification module and considerably reduce its circuit path length. And Class D allows the power output devices to be directly connected to the speaker output connection posts. 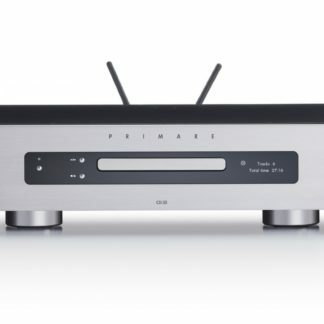 I35 PRISMA is the fully-featured, nine digital and five analogue inputs, version of a family of three Primare amplifiers. I35 DAC has eight digital (no USB-A) and five analogue inputs. The I35 DAC can easily be upgraded to I35 PRISMA with a PRISMA module and a screwdriver. I35 is an all analogue input amplifier of the I35 Prisma with five analogue inputs. The DM35 digital to analogue converter and PRISMA modules can be easily added to upgrade I35 to an I35 DAC or I35 PRISMA as needs (and funds!) arise.